Our mission is to change lives and build futures through programs that strengthen and support youth and families. 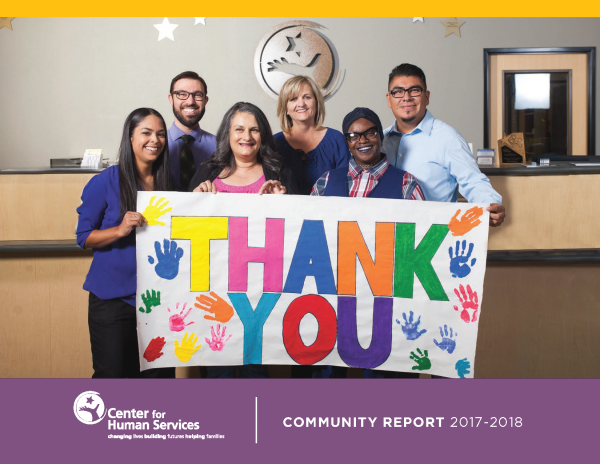 Center for Human Services (CHS), your local nonprofit, has helped over half a million people in Stanislaus County over the past 45 years. We serve children, families and individuals each year by providing quality treatment for mental health and addiction issues, shelter and educational services and connection to resources in our community. Our vision is to be a leader in advocacy and services for youth and families working with partners to build a strong community. Integrity: We are committed to excellence through transparency, solid business practices, and honorable conduct. Results: We believe that measuring the impact of our programs and business practices is the foundation for our success. Partnerships: We embrace collaboration within CHS and our community. Innovation: We approach issues with creativity and an open-mind. Responsiveness: We are committed to responding to the unique and changing needs of our agency and community. Respect: We respect people by acting with kindness, patience and civility. Center for Human Services acknowledges the support of our funding partners who underwrite, in part, the quality services provided to children and families. Partners include but are not limited to: Stanislaus County Board of Supervisors, Behavioral Health and Recovery Services, Community Services Agency, Probation, First 5 Stanislaus, various school districts, foundations, Federal and State agencies. We are grateful to all of our funders for fostering the health and well-being of our communities through their support of our prevention, intervention, treatment, counseling and shelter services. Download our 2017/2018 Community Report (PDF) or click on the image below.